Beggars All: Reformation And Apologetics: Did Luther Accept the Apocrypha Early in His Career? Did Luther accept the apocrypha as canonical scripture, and then as he slipped away from Romanism reject it? That's the idea of at least one Roman Catholic apologist. The unscrupulous Luther was forced to change his mind on the apocrypha in order to deny specific Roman Catholic doctrines. "The Dominicans, the great champions of Papal claims, continued to attack Luther, and especially did they do this at Rome, where one of them, Silvester Maccolini surnamed Prierias, the official censor made an especial assault upon him.... Luther answered [Prierias] in the words of Augustine that the only authority he could accept in the matter was the Canonical Scriptures. What Luther actually meant at this time by the phrase "eis libris, qui Canonici appellantur" is not quite clear, for we now find him in the Resolutions commenting on the Thesis published in 1518 quoting Sirach (Luther's Works, Weimar, Ed. I. 603) while in his answer to Pierias he quotes Tobias (667) in each case apparently as authoritative" [Henry Howorth, "The Bible Canon of the Reformation," International Journal of the Apocrypha, 20, Series VI (Jan.1910): 12]. In 1518, Luther freely quoted Sirach and Tobit against his Catholic detractors; but by the following year, Luther's view of the Deuterocanon had taken a decidedly negative turn. Michuta argues Luther's early use of the apocrypha proves an acceptance of the apocrypha as canonical scripture. 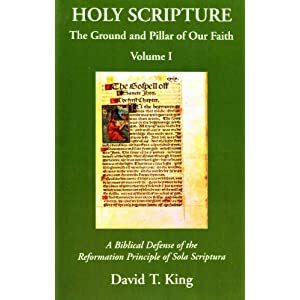 Then when cornered in debate by Eck at Leipzig, Luther abandoned the position that the apocrypha was canonical scripture (for a full review of this argument, see here and here) in order to reject the doctrine of purgatory. There are a few documents above mentioned by Mr. Michuta. Luther did write a counter response to Sylvester Prierias’ Dialogue Concerning Papal Authority. (this was a refutation of the Ninety-five Theses). Luther's response was his Ad Dialogum Silvestri Prieritatis de Potestate Papae Responsio (Answer to the Dialogue of Sylvester Prierias Concerning Papal Authority) (Leipzig: M. Lotther, August, 1518). WA 1, 647 ff). It was composed in two days but was not printed until August 1518 (Prierias' is said to have likewise boasted that he had answered Luther in three days). To my knowledge, these works haven't yet been translated into English. Prierias was an early opponent of Luther's, and he hasn't maintained the best reputation throughout history. He was one of those who was in favor of condemning the Hebraist Johann Reuchlin. In terms of defending the pope, this man was set on "10" (on a scale of 1 to 10). He argued for the supreme authority of the pope ("He who does not hold to the teaching of the Roman Church and the pope as an infallible rule of faith, from which even Holy Scripture draws its power and authority, he is a heretic."). As to the interaction between Luther and Prierias, I simply have to assume it's true that Luther quoted Tobias. If "the Resolutions commenting on the Thesis published in 1518" refers to "Resolution Concerning the Lutheran Thesis XIII On the Power of the Pope (Resolutio Lutheriana Super Propositione Sue Decima Tertia De Potestate Papae) (1519), that is found in WA 2, 180–239, and not available in English (to the best of my knowledge). I don't have the article from Howorth that Michuta cites (I do have two similar articles by Howarth). The International Journal of the Apocrypha was short lived, and difficult to track down. Roger Beckwith called Howarth's work in this area "informative (though injudicious)." Indeed, after reading the snippet from Michuta, I would concur. It seems to me that Howarth mislead Michuta down a rabbit trail of selective facts. Keep in mind, the apocrypha or canon debate was not an important issue during this early period in Luther's life. I would argue it wasn't even an issue of importance for Luther during his encounter with Eck. Luther was arguing primarily over indulgences and papal authority. Luther was heavily schooled with the Glossa ordinaria. When commenting on the apocryphal books, this work prefixes this introduction to them: Here begins the book of Tobit which is not in the canon; here begins the book of Judith which is not in the canon' and so forth for Ecclesiasticus, Wisdom, and Maccabees etc. The Catholic Encyclopedia verifies it's wide use: "The compilatory 'Glossa Ordinaria' was widely read and highly esteemed as a treasury of sacred learning during the Middle Ages; it embodied the prefaces in which the Doctor of Bethlehem had written in terms derogatory to the deuteros, and thus perpetuated and diffused his unfriendly opinion." I think it makes much more sense that the schooling Luther received informed his opinion on the canon. Even the Occamist influence in Luther's life would probably have held the same opinion. 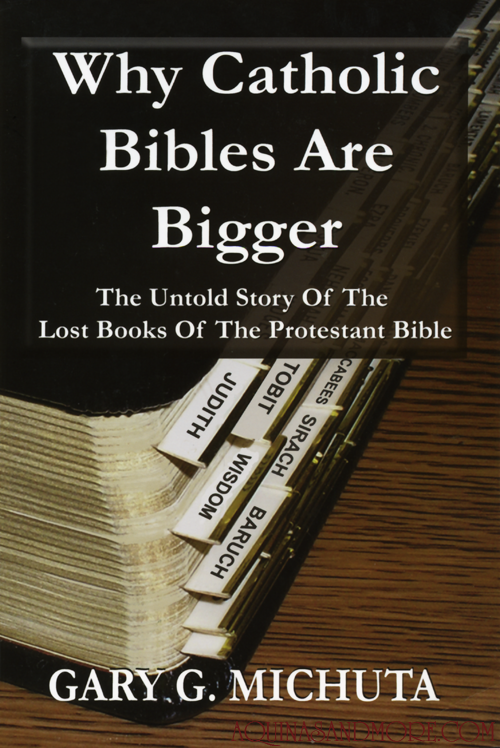 Michuta himself notes Occam held to the allowance of reading the apocrypha, but that the books were not canonical (Why Catholic Bibles Are Bigger, p. 218). Therefore, it wouldn't be odd to find Luther familiar with or fluent in the apocrypha, but that doesn't mean he believed it was canonical scripture. If one reads Luther's preface to the apocrypha, one will find the actual reasons he classified these books as non-canonical, and those reasons often echo previous voices from church history (here's an example). One of the joys of having Luther's Works on CD-ROM is being able to do word searches. What one will find is that Luther quoted approvingly from Sirach and Tobit throughout his career. The same type of citations found in The Resolutions above are found later in Luther's writings. Mr. Michuta left this fact out, or was perhaps unaware of it. If indeed the debate with Eck forced Luther to change his opinion on the apocrypha, one would expect to find Luther's citations different than previously. What one finds is the exact method of citation from the apocrypha both before and after Luther's encounter with Eck. In fact, Luther's last writings were his Lectures on Genesis. Both Sirach and Tobit are cited by Luther in a very similar way to that in The Resolutions (or as Michuta would say, in a method commensurate with sacred scripture) yet, not considering it canonical scripture.